The Agenda: Still, there is more to be done to make the U.S. more globally competitive for all U.S. businesses and to revitalize the ecosystem for entrepreneurial activity. Transforming the outdated regulatory system, improving capital access, lowering health coverage costs and increasing choice and competition, global market access and intellectual property protection, additional tax code fixes, affordable energy and ensuring all communities across America have access to quality broadband are some of the key areas for action. Regarding surface transportation infrastructure (and other priorities for the Trump Administration and Congress) the voice of small businesses will be vital to ensuring that new initiatives and changes in these areas are beneficial to our sector. In this blog post, I review the areas SBE Council will focus on to improve affordability, choice and more flexibility for health care and health coverage. Crushing health coverage costs are a top issue for America’s small businesses and entrepreneurs. These costs are a major pain point for their firms, and an administrative headache to boot. The general public also cites health care as their top issue of concern. A Fox News poll released on January 24 found that health care was the top issue of concern for voters, with 82 percent extremely or very concerned about it. A January 2018 Kaiser Family Foundation survey found that health care was the top issue that voters want 2018 mid-term candidates to talk about. A Morning Consult/Politco poll conducted January 18-20, 2018 supports the findings of these other surveys – 82 percent of voters said “improving the health care system” was very important or somewhat important for the President to focus on in his State of the Union address. It was the top issue selected. Employee wages and big growth in our economy are being held back by oppressive health care costs. Imagine what U.S. investment and business optimism would look like if costs began to move down and if there was real price sensitivity in the healthcare marketplace. Again, this cost drain must be addressed to enable sustainable and healthy economic growth. To date, several policy changes have been enacted to lift or delay some of the onerous costs and mandates of Obamacare. The individual mandate was repealed as part of the “Tax Cuts and Jobs Act” signed into law by President Trump. Regarding other Obamacare taxes, the 2.3 percent medical device tax was delayed for two years (until 2020); the Cadillac tax was delayed until 2022, and the Health Insurance Tax (which hits small businesses) was allowed to go into effect for 2018, but delayed for 2019. President Trump issued an Executive Order in October 2017 that directed regulatory changes for Association Health Plans (AHPs), Health Reimbursement Accounts and short-term and limited duration insurance plans. The effort is aimed at providing small business owners, their employees and the self-employed with more choices and lower costs. The Department of Labor released a proposed rule on AHPs on January 4, 2018. As new rules are released, SBE Council will be commenting on them and providing feedback to federal agencies and regulators. Small business owners and entrepreneurs want affordability, flexibility, more choices and competition. The Affordable Care Act (Obamacare) did not deliver any of these. SBE Council’s efforts will hone in on opportunities to fix regulatory roadblocks that are preventing competition and/or driving prices higher for small businesses, their employees and the self-employed. There is also an opportunity for immediate relief by addressing a specific Obamacare tax that targets small businesses. The HIT tax has been delayed for 2019, but was allowed to go into effect for 2018. This is a tax that unfairly and directly targets small businesses. The tax is currently reflected in the price of 2018 health insurance premiums. Legislation has been introduced (H.R. 4831, the Health Insurance Tax (HIT) Relief Act) to delay the tax for 2018, which means insurance companies would be required to rebate small businesses and the self-employed the amount of the 2018 tax or provide a credit for future premiums this year. SBE Council is pushing for passage of the “HIT Relief Act.” Small businesses and the self-employed need and deserve cost relief right now. HIT tax relief would be a solid “down payment” on reforms that the Administration is currently working on, but the impact (understandably) will not be felt by small businesses until after their implementation, which could be 2019 or later. Should Small Businesses Take the HIT?, Small Business Insider, December 2017, Karen Kerrigan. Joint Coalition Letter to Senate Leaders on Repealing the HIT and Cadillac Taxes, September 2017. Suffocating Health Insurance Costs Must be Fixed Now, Small Business Insider, June 2017. Health Reimbursement Accounts (HRAs) are a flexible benefit option that allows small business owners to reimburse employees tax free for out-of-pocket medical costs, including health insurance premiums. (HRAs are found in Section 105 of the Internal Revenue Code.) We almost lost HRAs as an option under original Obamacare rules, but they were resurrected after a big outcry in 2016. 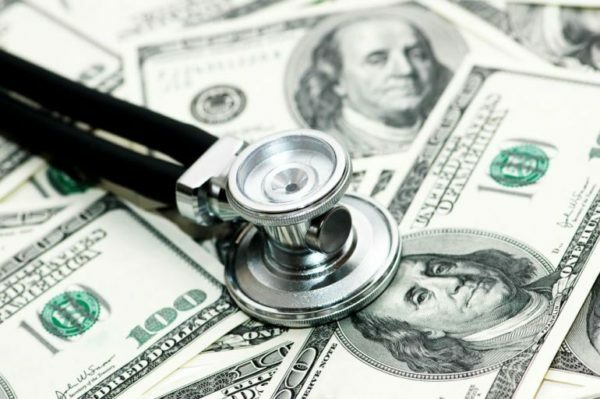 A key feature of the HRA is that it does not require the business owner to purchase a group health plan nor require any contribution from employees out of their paycheck. Thus, business owners unable to provide health insurance as a benefit to their workers due to high costs (and those with lower wage staff that cannot afford to set aside funds) can utilize an HRA to offer some financial assistance to their employees for their health costs. Unfortunately, business owners cannot participate in their own HRA. This doesn’t make sense. SBE Council supports amending HRAs to allow business owner participation. Similar to the changes SBE Council supports on HRAs, SBE Council also supports expansion of Section 125 Cafeteria Plans. They have the same problem as HRAs. The law needs to change to allow business owners to both offer and participate in Cafeteria Plans. This would mitigate compliance challenges as well as expand benefit offerings for small businesses. The change to cafeteria plans is offered as a provision in the bipartisan “Small Business Tax Simplification Act,” (H.R. 3717) which SBE Council supports and also testified in support of before the House Small Business Committee in October 2017. SBE Council agrees with the Administration that short-term, limited duration (STLD) plans play a vital role when people need coverage during career and work changes. People will increasingly cycle between full-time jobs and “gig” work, and short-term health insurance can help fill coverage gaps. It is forecasted that by 2027, more than half of the workforce will have been or will be independent contractors. SBE Council believes our regulatory system need to allow for how people currently work, and how they will work. STLD’s fill a needed gap in the marketplace. As people cycle between full-time jobs and gig work, more affordable and flexible health coverage is desirable. STLD’s offer a vital option for startups and the newly self-employed as well. SBE Council supports the preservation and expansion of STLD plans and we are awaiting a proposed rule from multiple agencies, including Health and Human Services, to review and provide comments on the proposal. As noted above, the Department of Labor (DoL) has issued a proposed rule on association health plans (AHPs). The proposed rule, released on January 4, 2018, is intended to fix current restrictions and barriers that prevent small businesses and entrepreneurs from using their market power and membership in associations to negotiate and access affordable health coverage for themselves and their employees. As it is written, the proposal would expand the types of groups that can create an AHP, allow for membership across state lines, and allow self-employed and “gig” economy workers to participate in AHPs, among other changes. SBE Council has been supportive of AHP legislation in the past and welcomes the proposed rule from DoL. We believe AHPs provide another option for small businesses and the self-employed to purchase health coverage. We are currently reviewing the proposed rulemaking to provide comments and, if warranted, make suggestions for improvements. See: Small Business Advocacy Group Welcomes Proposed Rule on Association Health Plans, January 4, 2018. Health Savings Account (HSA) can be more powerful for consumers and the market if Congress made certain changes to them. SBE Council supports increasing the contribution limits, in fact doubling them. We also support allowing HSA funds to be used to pay premiums and direct primary care expenses. Obamacare restrictions on over the counter purchases should be lifted. And, HSAs should be allowed to be paired with all plans, not just high-deductible ones. Regulations and mandates governing how health insurance must work have negatively impacted innovation in the health care marketplace. That is unfortunate, as entrepreneurs are our best source for solving challenges and finding solutions. SBE Council will be working with our members across the country to identify innovative practices in delivering health care and bringing those ideas to Washington to help us advance positive policy changes.